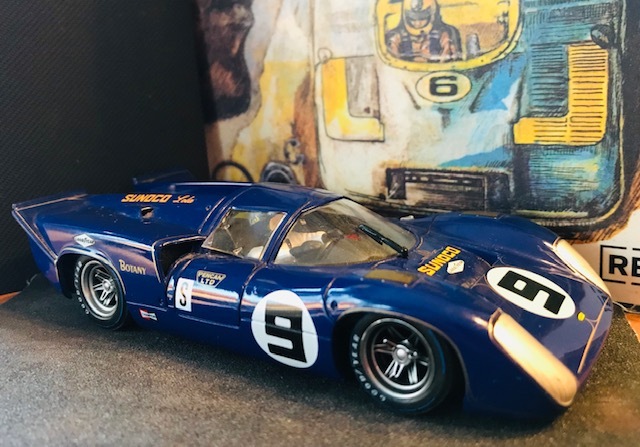 1969 WINNING SUNOCO PENSKE T70 LOLA: 50th Anniversary of Mark Donohue Win at Daytona 24 Hrs. Given that the 24 hours of Daytona for 2019 is coming up in a week or so and IMSA is celebrating it’s 50th birthday, I thought I would post a shout out and remembrance to one of my all time favorite drivers, Mark Donohue. It will be the Golden Anniversary of Mark’s Win at Daytona in the 24 Hours with the Sunoco sponsored T70 Mk III Lola as prepared by Penske Racing. 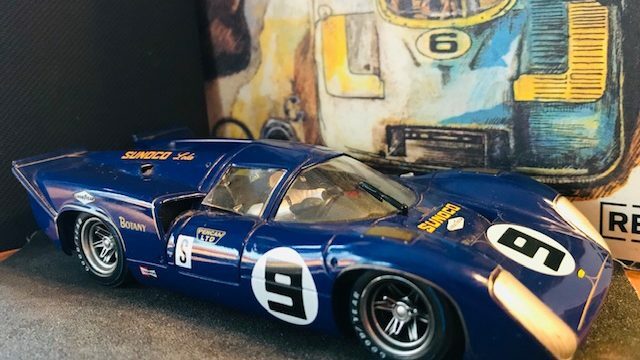 Mark Donohue was teamed with midwest champion Chuck Parsons for the overall win in 1969 as one of the first internationally acclaimed major races won by the Sunoco/Penske Team. I am sure with some of the start of IMSA’s coverage of the 2019 Rolex 24 and some of their press releases, there will be some other stories on the historic win for the Penske/Donohue partnership in their early days. 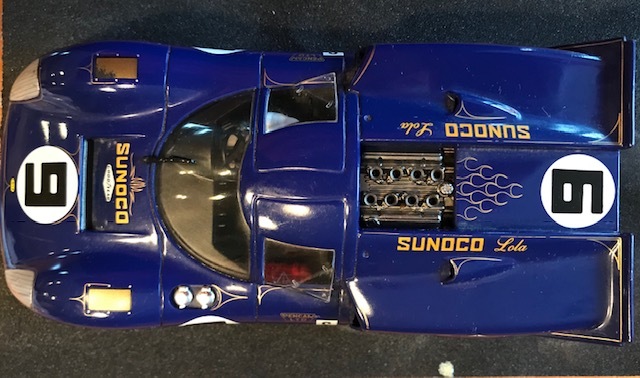 Another direct overhead shot of model showing great lines of the Lola/Chevy and the classic Sunoco blue and yellow livery. Meeting Mark Donohue as a young boy at the ’68 Trans Am Race, Meadowdale 250 just outside of Chicago, when my Pop was with the Ronnie Kaplan American Motors Javelin Team. Mark would dominate and win that day in July of 1968 in the Sunoco sponsored Chevy/Penske Camaro……… I can honestly say that Mark really was “Captain Nice” as nickname implied.